A fascinating TED talk recently re-posted by the Center for a Stateless Society relates weakening governments with accelerating social change and popular liberation by technology. Originally from 2015, the TED talk by William Gillis equates the state with control, and control with building perfect defenses and security measures. All of these become impossible because the spectrum of disobedience, disruption and vandalism by people increases through technology and popular access to it (just ask hackers). "The more means by which people can act the easier attack becomes and the harder defense becomes" the speaker argued. Using a Star Wars (image courtesy) reference that would be enjoyed by fans of the sci-fi series, Gillis states, "It’s a simple matter of complexity. The attacker only needs to choose one line of attack, the defender needs to secure against all of them. This isn’t just true of small thermal exhaust ports, it’s true in our software ecosystems today and any other system with many dimensions of movement." The thermal exhaust port is a weakness in the Empire's deadly Death Star battle station featured in Star Wars. 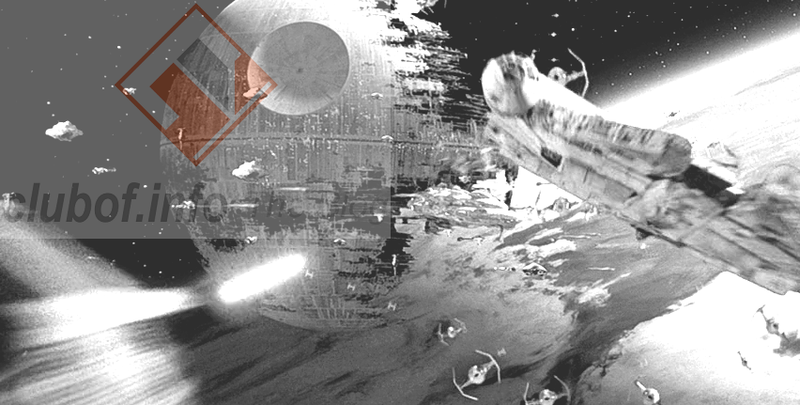 In the film, rebel hero Luke Skywalker destroys the planet-killing weapon by firing a proton torpedo through the thermal exhaust port, causing a chain reaction that destroys the Death Star. Edward Snowden could perhaps be likened to Luke Skywalker, one man able to bring the colossal machine of tyranny down by being in the right place, at the right time, with the right technologies. Advanced technology, Gillis believes, adds concrete facts to support a form of anarchism and super individualism that previously had only been possible in theory. In his conclusion, Gillis identified the idea of a stateless society with the posthuman society predicted by transhumanism, stating "transhumanism represents yet another arm of anarchism: a focus on expanding freedom in physical terms and a critique of timid retreat to some stultifying “human nature."" According to Gillis and others at Human Iterations, we need a "social singularity" thinking about a post-state society filled with superempowered individuals equipped with the ultimate personal technologies, who no longer need governments to take care of themselves. It is hard to deny such a conclusion, as "The arc of human history is an arc bent by our creativity and inquiry towards more options, more ways of existing and acting."